The soul and the body of a natural spirit. Know what you get. Bacanora Pascola Silver has a clear and clean colour. The definite aroma of smoky agave makes you feel you are drinking at the distillery. The intense sugar and spicy pepper aftertaste creates a pleasant appeal for the palate. Because of its clean and silky touch, Pascola Silver is best served neat or on the rocks. If you are not a big fan of plain spirits, try it out in margaritas or with tonic and hibiscus. Enjoy Pascola Silver based cocktails with pintxos, grilled vegetables, cheese, olives or fruit platters. Life doesn’t have to be grey, make it clear with Bacanora Pascola Silver. Pascola Reposado has a clear light brown colour. The definite aroma of smoky agave makes you feel you are drinking at the distillery. The mix of sugar, smooth spicy and oak barrel aftertaste, convey to this spirit contradictory characters. To tame its wild temper mix Pascola Reposado in a cocktail like margaritas. For your sunset dinner, Reposado based cocktails go with beef, pork, cheese and spicy dishes. If you don’t like the being conventional, choose the alternative. 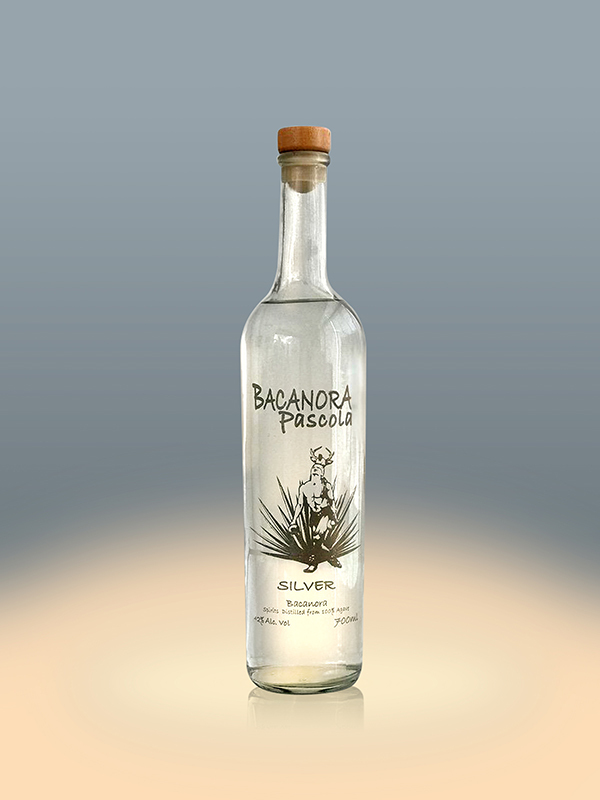 Choose Bacanora Pascola Reposado. Pascola Anejo has a light brown colour that shows it has been aged. A smoky and spicy flavour of agave tends to vanilla and caramel but the freshness of it makes you feel you are drinking at the distillery. The mix of sugar, smooth spicy and oak barrel aftertaste, convey a mezcal with a rebel soul. Because of its clean but unconventional touch Pascola Anejo is best served neat or on the rocks. Combine it with your dessert like chocolate flan or ice cream. 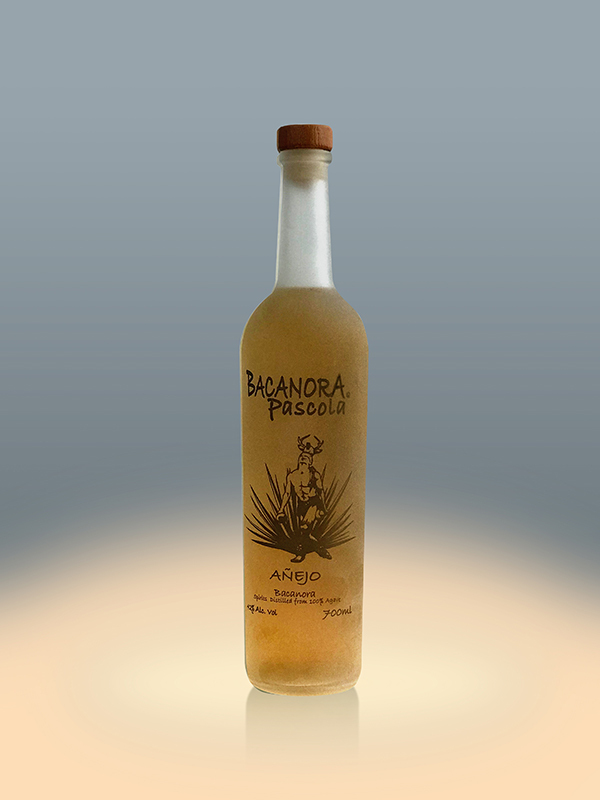 If you are stubborn like an Aries, your unmistakable digestive after a Mediterranean dinner is Bacanora Pascola Anejo. The soul and the body of a natural spirit. Only for those who get what they want. Bacanora Cielo de Sonora Blanco has a clear and clean colour. The definite aroma of agave is slightly smoky and floral, but not sweet. After pouring it in the glass, let it rest for a few minutes and you will feel the intense aroma of pure agave. The peppery flavour with a spicy finish and the silky touch makes this spirit best enjoyable neat or on the rocks. Savour Cielo de Sonora Blanco any time after lunch with light food like roasted vegetables, cheese and fruit. Great for any light snack or afternoon BBQ. Whatever is the weather like, with Cielo de Sonora Blanco and few friends, life is good, no matter what. 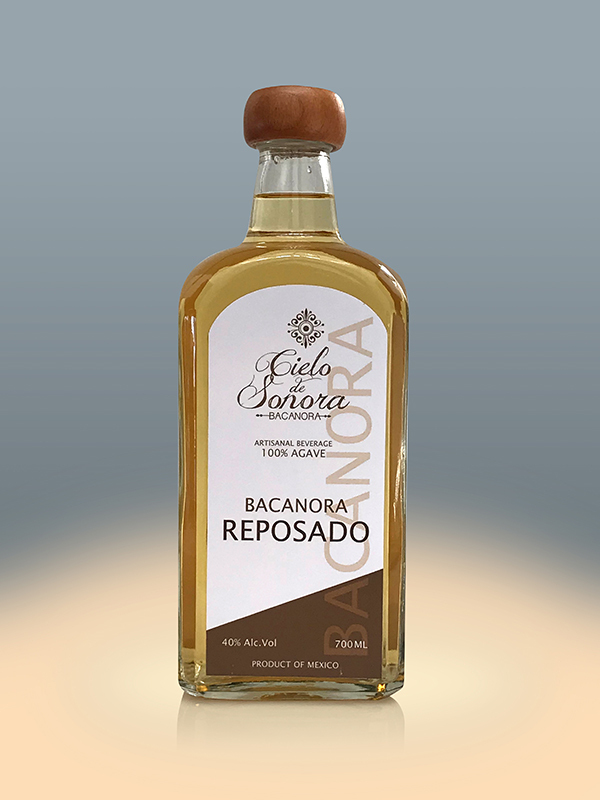 Bacanora Cielo de Sonora Reposado has a light brown colour. This Bacanora has a definite aroma of smoky cheese with wood notes. A pinch of green apple and floral taste will capture your palate. Cielo de Sonora Reposado leaves in your mouth the sweet of agave and the spiciness of the wood. The clean touch and lack of stickiness makes it best served neat or on the rocks. Combine this Reposado with spicy food and heavy meat dishes. 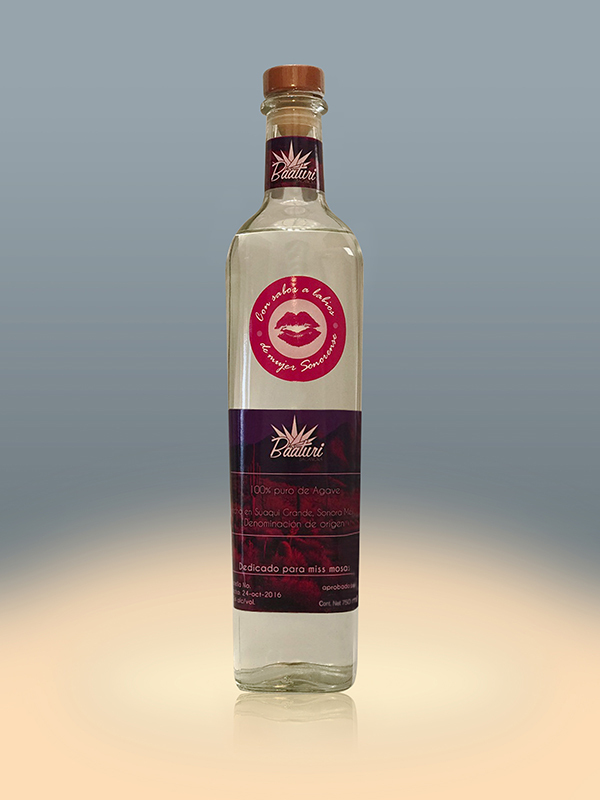 Cielo de Sonora Reposado is the spirit of special occasions or the special drink at the end of another usual day. Bacanora Cielo de Sonora Anejo has a light brown frosted colour. 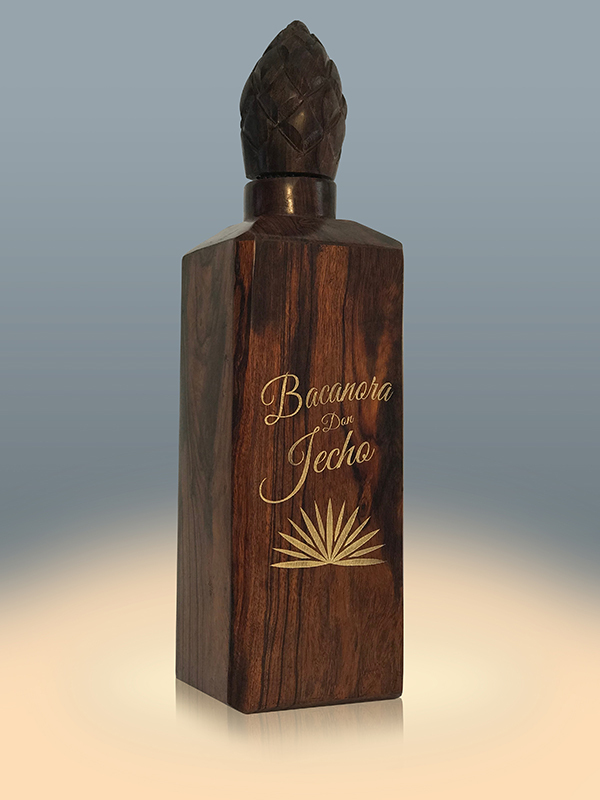 This Bacanora has a definite sweet aroma of agave combined with a heavy spicy note of wood. The full spicy aroma resembles a mix of cinnamon, caramel and brown sugar. Cielo de Sonora Anejo is very clean to the touch and not sticky. Its best served neat or on the rocks. Combine this Anejo with desserts from ice cream to chocolate flan or creme caramel. If you don’t have a sweet tooth, savour it with a good cigar. 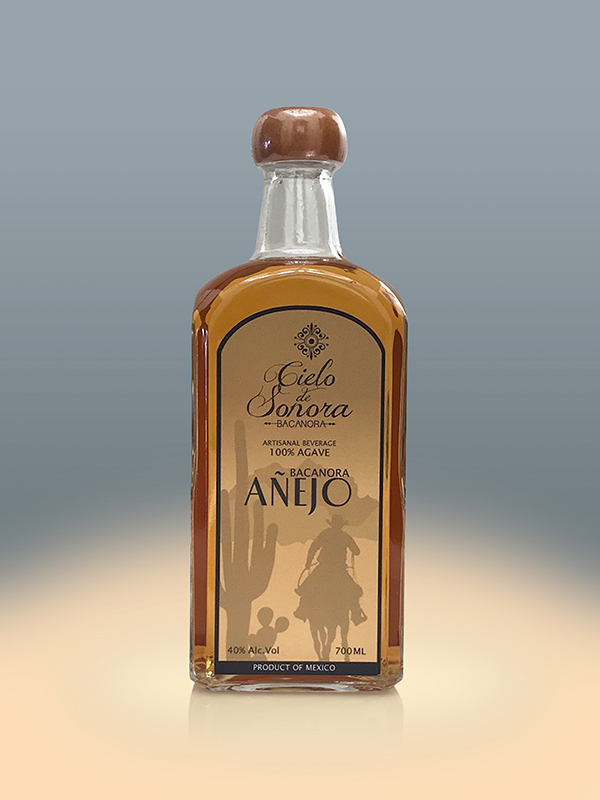 Cielo de Sonora Anejo is another spirit for special occasions or the special drink at the end of another usual day. Bacanora Don Jecho Blanco has a clear and clean colour. The definite aroma of smoky agave makes you feel you are drinking at the distillery. The intense sugar and spicy aniseed aftertaste creates a pleasant appeal for the palate. 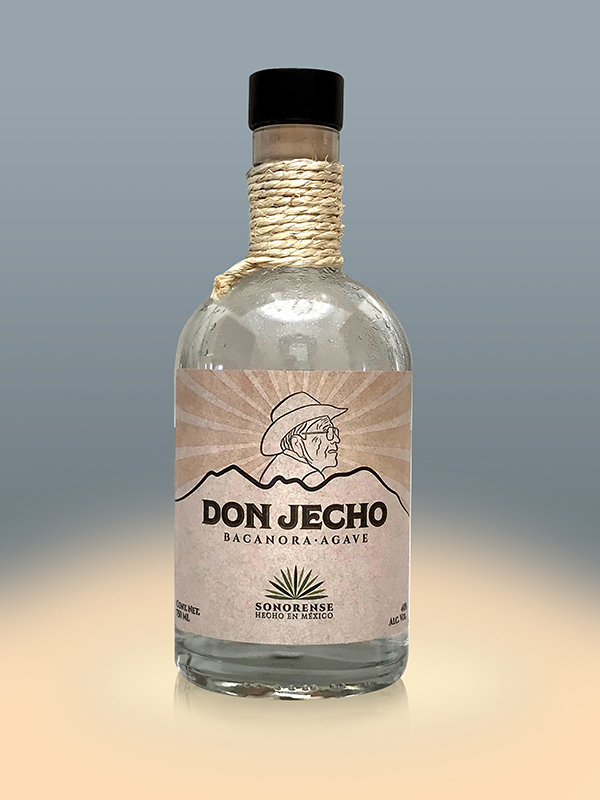 Because of its clean and silky touch, Don Jecho Blanco is best served neat or on the rocks. If you are not a big fan of plain spirits mix it with tonic and lime. Enjoy Don Jecho Blanco as aperitif with chips, nachos and salsa, cheese and grilled vegetables. Your day doesn’t have to be grey, make it sound and clear with Don Jecho Blanco. Bacanora 314 Huellas Silver has a clear and clean colour. The definite aroma of cooked agave and the slight smoke tinge make you feel you are drinking at the distillery. The intense sugar and spicy aniseed aftertaste create a pleasant appeal for the palate. Because of its clean and not sticky touch, 314 Huellas Silver is best served neat or on the rocks. If you are not a fan of plain spirits mix it with tonic and lime. Enjoy 314 Huellas Silver as aperitif with chips, nachos and salsa, cheese and grilled vegetables, or as an after-dinner digestive. 314 Huellas is the perfect drink for your time at your old stamping ground. Every day can be a different day with the spicy taste of this pure spirit. Bacanora 314 Huellas Reposado has a clear light brown colour. The definite aroma of cooked agave and the slight smoke tinge make you feel you are drinking at the distillery. The intense sugar and spicy aniseed aftertaste create a pleasant appeal for the palate. 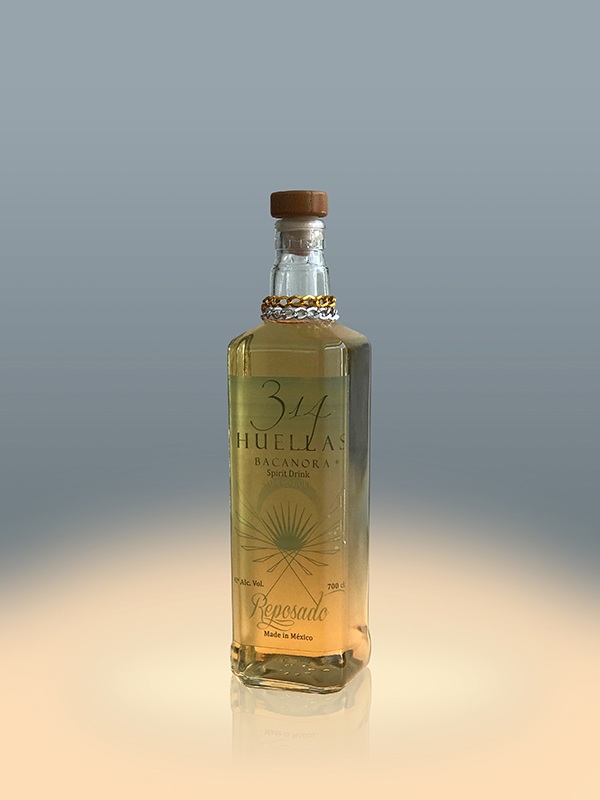 Because of its clean and not sticky touch, 314 Huellas Reposado is best served neat or on the rocks. 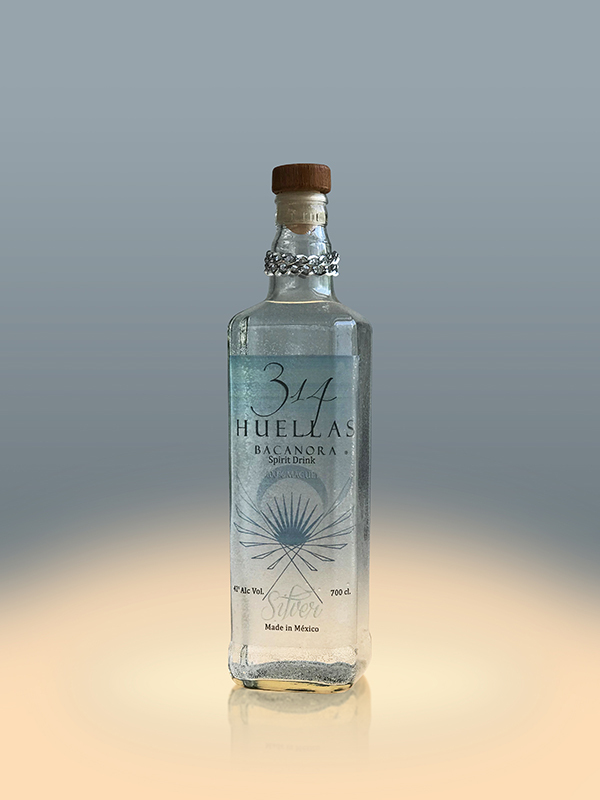 For your sunset dinner, mix 314 Huellas Reposado with tonic and lime. You can also enjoy it as aperitif with chips, nachos and salsa, cheese and grilled vegetables. The spicy taste of this pure spirit is for those who like living everyday like a really different day. Baaturi has a clear and clean colour. The definite aroma of cooked agave and the slight smoke tinge, make you feel you are drinking at the distillery. The high concentration of sugar and spicy aniseed aftertaste creates a pleasant appeal for the palate. Because of its clean and not sticky touch, Baaturi is best served neat or on the rocks. If you are not a fan of pure spirits, mix Baaturi with tonic and lime. Enjoy Baaturi as aperitif with chips, nachos and salsa, cheese, grilled vegetables and olives. Baaturi is the spicy spirit with clean appearance for special occasions with your family and friends. Bacanora Milagro del Desierto Silver has a clear and clean colour. The definite aroma of smoky agave makes you feel you are drinking at the distillery. The sweet and spicy aniseed aftertaste creates a pleasant appeal for the palate. Its silky and smooth touch brings a halo of mystery to the drinking experience of this spirit either neat or on the rocks. Break the strength of this son of the desert with tonic and lime for an aperitif cocktail. Enjoy this sunset drink after another hot day with salsa and cheese nachos. When we say “hot day” we don’t mean just weather wise. Work out the “hot day” meaning for yourself. 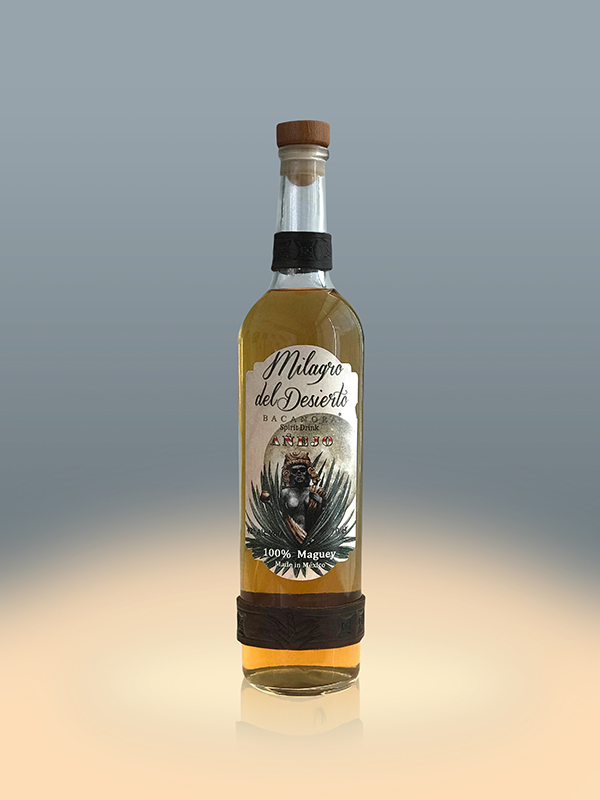 Bacanora Milagro del Desierto Reposado has a clear and clean brown colour. The definite aroma of smoky agave makes you feel you are drinking at the distillery. The sweet and spicy aniseed aftertaste creates a pleasant appeal for the palate. Its silky and smooth touch brings a halo of mystery to the drinking experience of Milagro del Desierto Reposado either neat or on the rocks. Demystify the miracle of the desert with tonic and lime or make a margarita of it. Enjoy your cocktail at sunset with salsa nachos, cheese and olives. Chill out and recharge your batteries after another long day. Life is too short to take it too seriously. 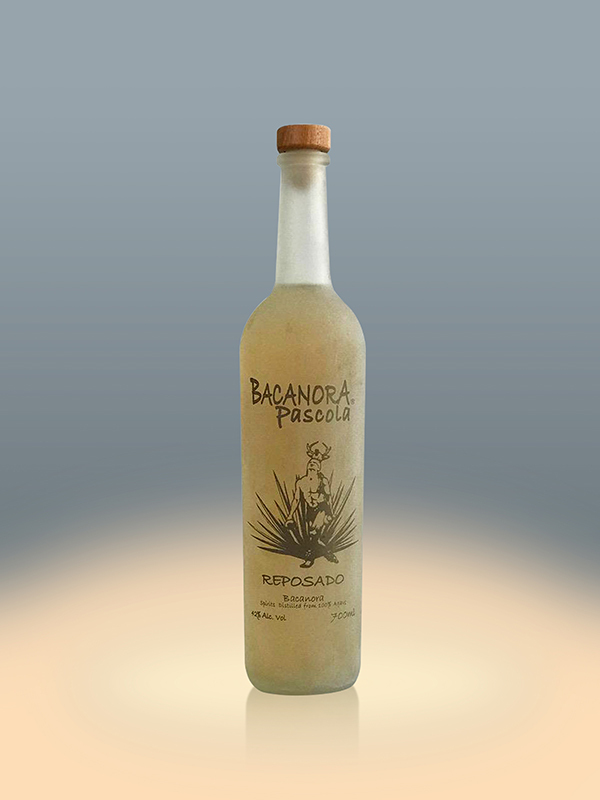 Bacanora Milagro del Desierto Anejo has a light brown frosted colour. The definite aroma of smoky agave makes you feel you are drinking at in the distillery. The sweet and spicy aniseed aftertaste creates a pleasant appeal for the palate. Its silky-smooth touch brings a shadow of mystery to the drinking experience of Milagro del Desierto Anejo either neat or on the rocks. If you are not a big fan of plain spirit, try Anejo in margaritas or mix it with tonic and lime. Pair it with salsa and cheese nachos and olives. When you dilute this strong mezcal, cloudy thoughts evaporate into the sky, the night brings clarity and calm. It’s time to stop, relax and enjoy your Milagro del Desierto Anejo.